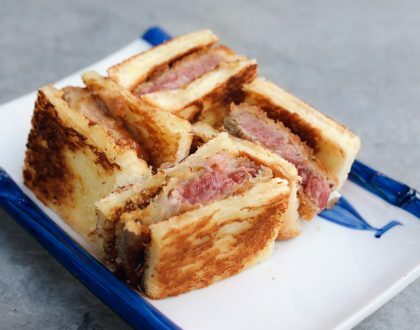 My first experience at Jack’s Place was after PSLE, at the nostalgic Bras Basah branch. It was a reward from my mum. I never had steak before. The waiter asked if I wanted my steak “well done”. I didn’t know what it meant, and it seemed like the most appropriate choice then. Because when I asked what else was there, the waiter said “medium but would be bloody”. Years down the road, I still remember Jack’s Place to be the first restaurant I had steak at, with many fond memories associated. Do you know it has been around since 1967 (known as Cola Restaurant and Bar then)? 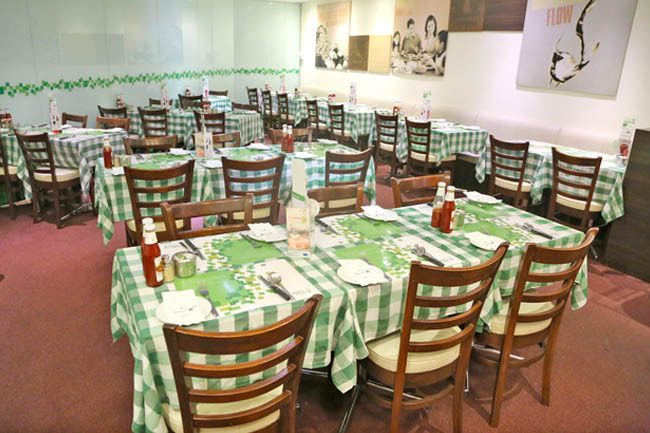 You are likely to still find those familiar green and white checked table-cloth still in use. 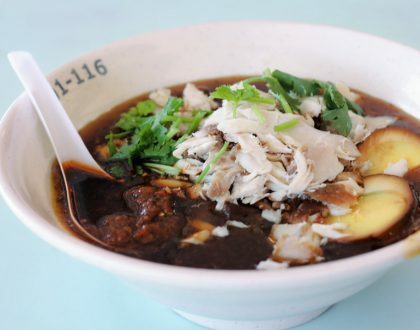 If my mum wants to have ‘Hainanese-style’ Western food again, I am likely to bring her there. 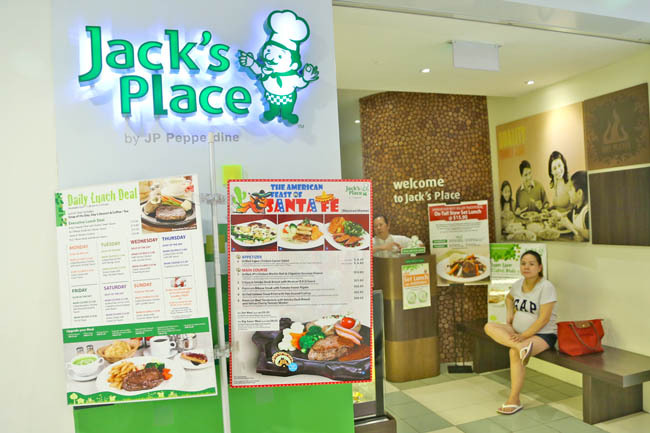 When Jack’s Place is mentioned, you may think of the words ‘steak’, ‘family’, and ‘nostalgic’, now how about ‘healthy? Typically, a steak dish would be at least 700 kcal or more. 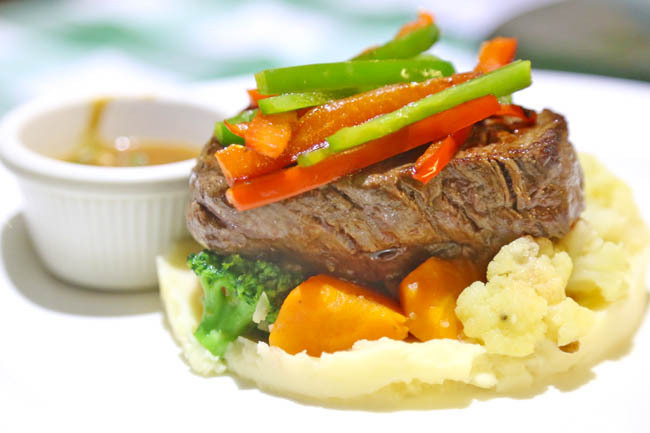 Jack’s Place Tenderloin with Capsicum ($28.00), prepared using New Zealand grass-fed beef, is about 500 kcal! 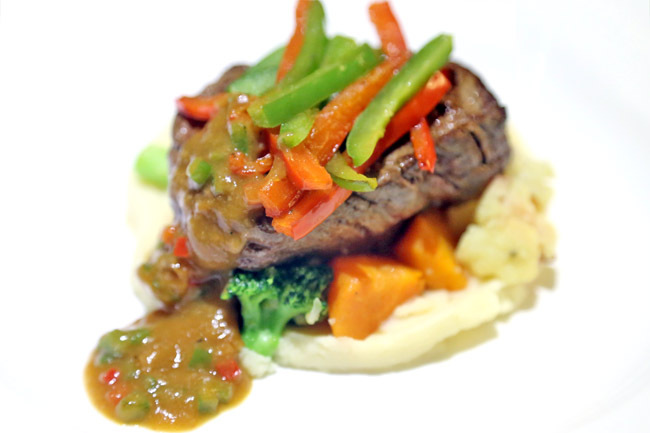 This steak is served on a bed of soft mashed potatoes, topped with fresh colourful capsicum, with an option of capsicum-infused brown sauce on the side. I initially wondered about the portion size, but the dish turned out to be quite filling, especially since the slab came with mashed potatoes. This time I knew better and ordered a medium-rare, and they got the doneness just right, juicy and still flavourful. Somehow pasta dishes are always seen as fattening and calorific, especially by my female friends. They usually only take half a portion, or avoid these carbs all together. After all, a usual pasta dish, say spaghetti with meat and tomato sauce would already be 613 kcal. Perhaps it is about picking the right sauces to avoid the extra calories. 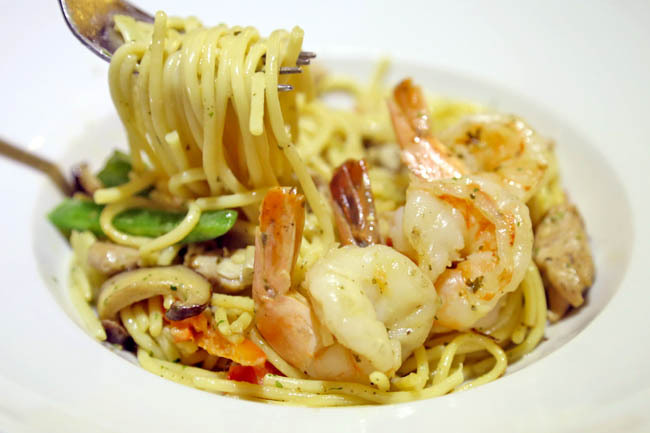 Jack’s Place Prawn and Chicken Spaghetti ($15.80) comes with sautéed prawn and chicken chunks in pesto sauce. The aromatic sauce is mixed well in the pasta, without being too greasy or salty. This is an Asian dish my mum would most likely enjoy – Teriyaki Chicken with Rice ($14.80). 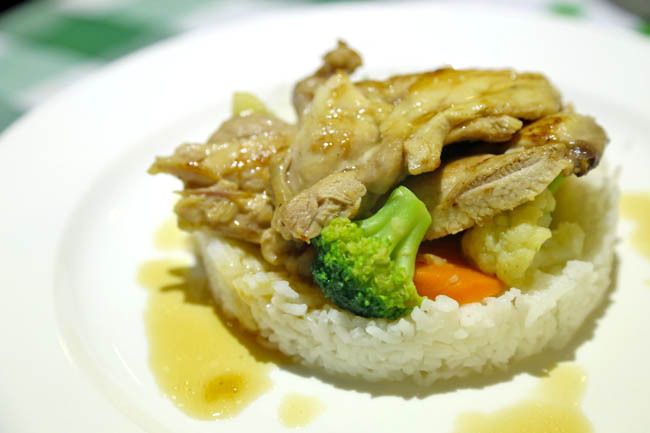 Beneath the grilled succulent chicken pieces is a layer of vegetables – crunchy broccoli, cauliflower and carrots, served on steamed rice, topped with special teriyaki sauce. Other than leaner proteins, less salt and fattening sauces, and more colourful veggies incorporated in the menu, you will soon find the group of restaurants switching from vegetable to olive oil. While the calorie is lower, taste is not compromised. My mum would sometimes complain that “outside food is so salty and oily.” I now know where to bring my health-conscious family to enjoy sizzling steak, savoury pasta and Asian fusion food. And I can safely tell them it’s all about 500 calories. 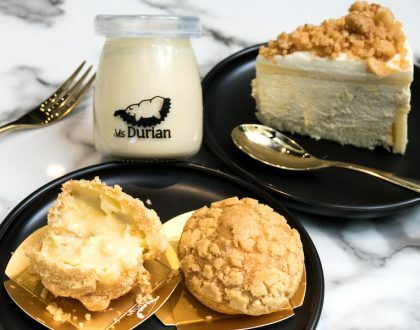 Other branches: Ang Mo Kio Blk 730 Ave 6, Bras Basah Complex, Bukit Panjang Plaza, Century Square, Compass Point, Great World City, JEM, NEX, OrangeTee Building Toa Payoh, Safra Jurong Cub, The Grandstand, United Square, West Coast, Woodlands Civic Center.